Actor Saoirse Ronan attends The 23rd Annual Critics' Choice Awards at Barker Hangar on January 11, 2018 in Santa Monica, California. Saoirse Ronan opted for simple loose, side-parted hairstyle when she attended the 2018 Critics' Choice Awards. 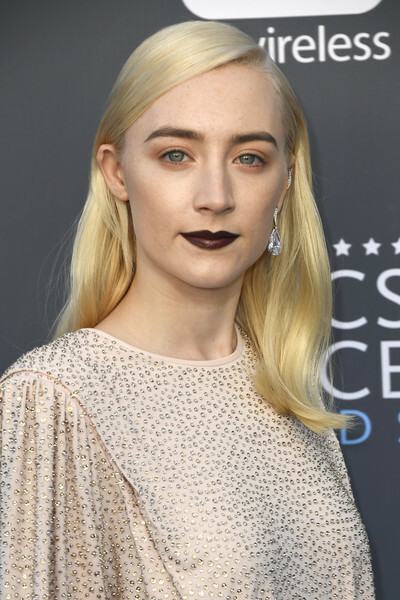 Saoirse Ronan swiped on some dark lipstick for a vampy beauty look.